Before entering academia, I worked in a variety of grassroots roles—as a community organiser, a trade union organiser and a participatory action researcher—in both the United States and in Britain. I joined the Department of Sociology at the University of Warwick in February 2017 as Professor of Sociology. Previously, I was Senior Lecturer at the University of Edinburgh. As a political sociologist, I have research interests in two areas: 1. racial, ethnic and gender social and economic inequalities in Europe and the United States and 2. women of colour’s grassroots organising and activism for social citizenship and social justice. Women of Colour Resist is a six-nation comparative research project that examines how women of colour activists in the UK, France, Belgium, Germany, Denmark and Spain strategise, organise and mobilise in illiberal Europe. Women of colour, oftentimes operating in hostile contexts, work in innovative ways to advance their political interests. This project aims to make visible this creative work and to map the processes by which women of colour undertake their grassroots activism against austeirty, against the far right and for migrants' rights. My co-principal investigator for this project is Leah Bassel (University of Roehampton). The Politics of Catastrophe examines how women of colour activists in Britain, the Netherlands and the United States operationalise an idea of ‘catastrophe’ as a political resource and protest frame for their organising, mobilising and solidarity work. In particular, this project aims to explore how women of colour activists working in two protest spaces: anti-austerity and migrants’ rights, frame their work as struggles against the inter-related catastrophes of: the unprecedented cuts to and privatisations of state-based social welfare provision; the political, policy and public opinion backlash against migrants in relation to increased surveillance, deportations and detentions; the rise of illiberal politics in terms of the electoral gains of far right parties, the mainstreaming of extremist language in political discourse and the spike in racist and xenophobic hate crimes. 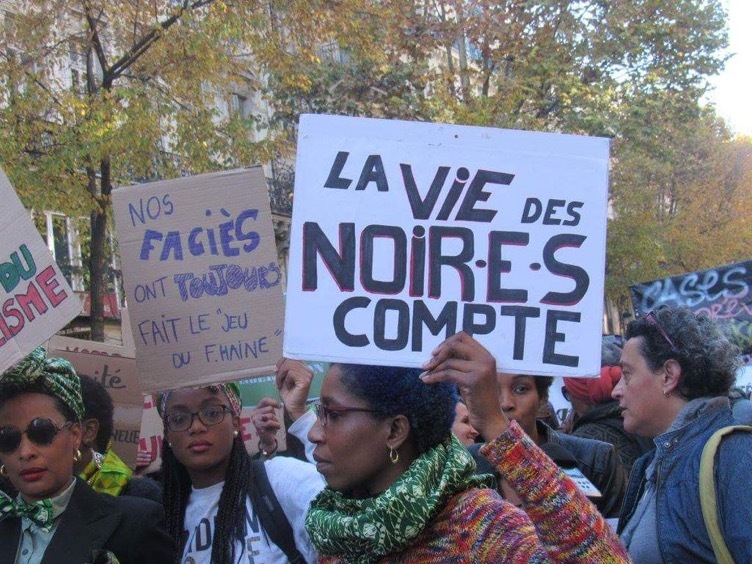 In this cross-national comparative research project, my co-principal investigator, Leah Bassel (University of Roehampton), and I explore the effects of the 2008 economic crisis and subsequent austerity measures on minority women’s activism in France and Britain. In particular, we investigate how the crisis erodes minority women’s income and wealth but also galvanises their grassroots organising, activism and solidarity work for social justice. Check out our project website here. The 2008 economic crisis and subsequent austerity measures represent a contradictory moment for minority women in France and Britain. On the one hand, the ‘crisis’ is not necessarily a new experience for these women. In pre-crisis France and Britain, minority women were already in precarious social and economic circumstances. On the other hand, however, crisis and austerity do represent an important change in the circumstances of minority women. Due to the asymmetrical impacts of austerity, minority women are disproportionately disadvantaged by cuts to public spending thus sharpening and deepening their existing inequalities. Despite minority women’s routinised experiences of inequality, they are not passive objects at the mercy of economic restructurings and particular policy priorities. Minority women, often operating in hostile contexts among ostensible allies, are organising and mobilising in innovative ways to advance their intersectional social justice claims. Our new book examines minority women’s experiences of and activism within the austerity regimes of France and Britain. Through in depth case studies of the particular dynamics of austerity and activism in Scotland, England and France, we explore how the rebalancing of relations between the state, the market and civil society generate both opportunities and dilemmas for minority women activists, advancing a ‘politics of survival’ in these uncertain times. Listen to an interview with me on the New Books in Critical Theory podcast. How might we theorise and practice Black feminism and womanism in Europe today? This is a provocative question as women of colour are too often erased from or misrecognised in the European imagination. Constructed as alien Others, women of colour exist in a contradictory state of invisibility—we are assumed to be absent from and irrelevant to European societies—or hypervisibility—we are presumed to be oppressed and passive and/or highly sexualised, angry and irrational. Across the political spectrum among ostensible allies, women of colour must struggle against our erasure and the debilitating constructions of ourselves that delegimitise our politics, interests and activisms. 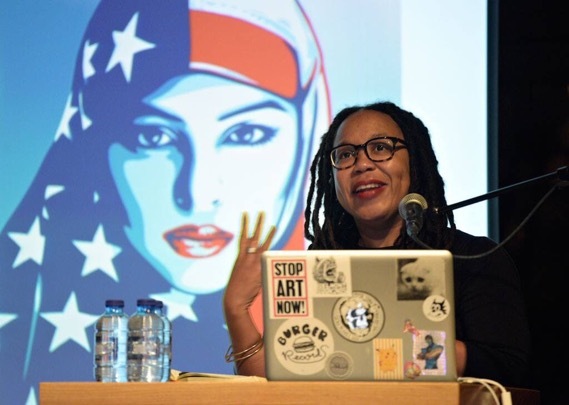 Furthermore, women of colour in Europe must negotiate the dominant discourses of racial, gender and intersectional politics of North American Black feminists and womanists that make it difficult to name and take action on our particular racialised, gendered and classed experiences in a European context. This new edited collection explores how women of colour across Europe are undertaking creative resistances to institutionalised inequalities, to imagine radical new futures outside and against the neo-colonial frames and practices of contemporary Europe. Why is community development regularly invoked as a way of tackling social problems? Why do institutional actors routinely call upon community development to rebuild bonds and trust between different groups of people? What is at stake philosophically, politically and in policy terms when community development is championed as a strategy for social renewal? Through a comparative analysis of American and British community development since 1968, my book examines how key political and policy debates about social welfare, social justice and equality have been inscribed onto and embodied within the theory and practice of community development in these two countries. Listen to an interview with me about my book on the New Books in Political Science podcast. Emejulu, A. (2018) 'Can Political Science Decolonise? A Response to Neema Begum and Rima Saini', Political Studies Review. Emejulu, A. and Bassel, L. (2018) 'Austerity and the Politics of Becoming', Journal of Common Market Studies Annual Review, 56(S1): 109-119. Mügge, L., Montoya, C., Emejulu, A. and Weldon, S.L. (2018) 'Intersectionality and the Politics of Knowledge Production', European Journal of Politics and Gender, 1(1-2): 17-36. Bassel, L. and Emejulu, A. (2018) 'Mourning the Old World Whilst Building the New? A Rejoinder', Journal of Ethnic and Racial Studies Book Review Symposium on Bassel, L. and Emejulu, A. (2017) Minority Women and Austerity: Survival and Resistance in France and Britain. Bristol: Policy Press. Emejulu, A. (2018) 'On the Problems and Possibilities of Feminist Solidarity: The Women's March One Year On', IPPR Progressive Review, 24(4): 267-273. Stewart, S. and Emejulu, A. (2017) 'Women as Sectarian Agents: Looking Beyond the Football Cliché in Scotland', European Journal of Women's Studies. Bassel, L. and Emejulu, A. (2017) ‘Caring Subjects: Migrant Women and the Third Sector in Scotland and England’, Journal of Ethnic and Racial Studies. Emejulu, A. and McGregor, C. (2017) ‘Towards a Radical Digital Citizenship for Digital Education’, Critical Studies in Education. Konstantoni, K. and Emejulu, A. (2017) ‘When Intersectionality Met Childhood Studies: The Dilemmas of a Travelling Concept’, Children’s Geographies 15(1): 6-22. Emejulu, A. and Scanlon, E. (2016) 'Community Development and the Politics for Social Welfare: Rethinking Redistribution and Recognition Struggles in the United States', Community Development Journal, 51(1): 42-59. Emejulu, A. and Bassel, L. (2015) ‘Minority Women, Activism and Austerity’, Race & Class, 57(2): 86-95. MacLeod, M.A. and Emejulu, A. (2014) ‘Neoliberalism with a Community Face? A Critical Analysis of Asset-Based Community Development in Scotland’, Journal of Community Practice, 22(4): 430-450. Bassel, L. and Emejulu, A. (2014) ‘Solidarity under Austerity: Intersectionality in France and the United Kingdom’, Politics & Gender, 10(1): 130-136. Emejulu, A. (2013) 'Being and Belonging in Scotland: Exploring the Intersection of Ethnicity, Gender and National Identity among Scottish Pakistani Groups', Scottish Affairs, 84(3): 41-64. Emejulu, A. (2011) 'Can "the People" Be Feminists? 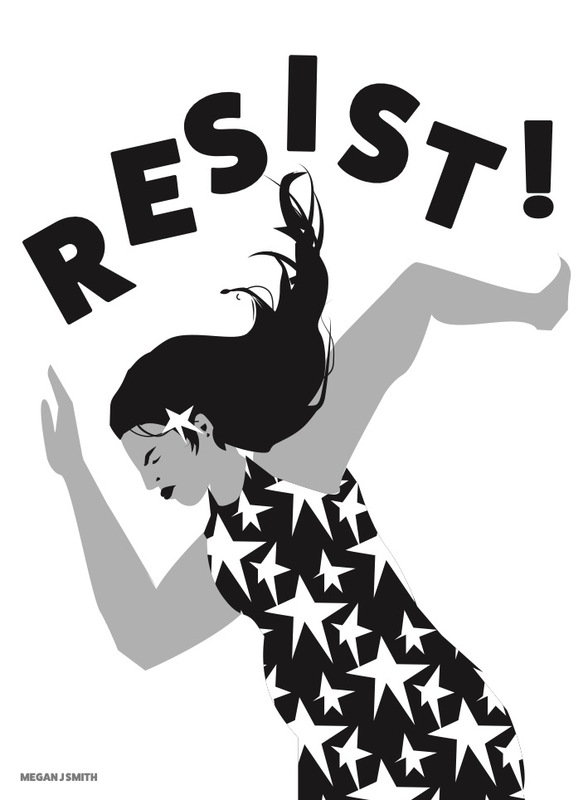 Analysing the Fate of Feminist Justice Claims in Populist Grassroots Movements in the United States', Interface: Special Issue on Feminism, Women's Movements and Women in Movements, 3(2): 123-151. Bassel, L. and Emejulu, A. (2010) ‘Struggles for Institutional Space in France and the UK: Intersectionality and the Politics of Policy’, Politics and Gender, 6(4): 517-544. Emejulu, A. and Bassel, L. (2017) ‘Whose Crisis Counts? Minority Women, Austerity and Activism in France and Britain’, in Kantola, J. and Lombardo, E. (eds) Gender and the Economic Crisis in Europe. London: Palgrave. Emejulu, A. and Bassel, L. (2017) ‘Resisting Epistemic Violence: Women of Colour’s Anti-Austerity Activism’ in Whyte, D. and Cooper, V. (eds) The Violence of Austerity. London: Pluto Press. Emejulu, A. and Bassel, L. (2019) 'The Whitewashing of Austerity Britain', Red Pepper. Emejulu, A. and Mügge, L. (2018) 'Who is Seen and Heard in Politics? Intersectionality and Political Representation', APSA Migration and Citizenship Newsletter. Emejulu, A. (2017) 'Surprise! Black Women are Political Actors', HuffPost. Emejulu, A. and Bassel, L. (2017) 'They Cut, We Bleed: Women of Colour's Anti-Austerity Activism', Pluto Press. Emejulu, A. (2017) 'The University is not Innocent', Verso Books. Emejulu, A. (2017) 'Another University is Possible', Verso Books. Emejulu, A. (2016) ‘On the Hideous Whiteness of Brexit’, Verso Books. Emejulu, A. (2016) ‘Trump and Liberal Democracy’s Crisis of Knowledge’, The Sociological Review. Emejulu, A. (2016) ‘Beyond Feminism’s White Gaze’, Discover Society. Emejulu, A. (2015) 'From #BlackLivesMatter to Anti-Austerity: Women of Colour and the Politics of Solidarity', Verso Books. Sosenko, F., Netto, G., Emejulu, A. and Bassel, L. (2013) In It Together? Perceptions on Ethnicity, Recession and Austerity in Three Glasgow Communities. Glasgow: Coalition for Racial Equality and Rights. Emejulu, A. and Bassel, L. (2013) ‘Between Scylla and Charybdis: Enterprise and Austerity as a Double Hazard for Non-Governmental Organisations in France and the UK’, Centre for Education for Racial Equality in Scotland, Briefing No. 2. I am interested in supervising PhD students on areas related to grassroots activism, community development and organising, and race, class, gender and ethnicity more generally. I am also particularly interested in working with students who wish to use intersectional, critical race, feminist or post-structuralist methodologies in their research.